Valentin, a 19-year-old orca who spent his whole life in captivity, is dead - just four months after his mother died at the same marine park in France. Marineland Antibes, the country's largest dolphinarium, announced Valentin's passing October 12. The official cause of death is unknown, but some organizations have accused Marineland of inadequately caring for its animals during a torrent of deadly floods in early October. Recent images of the park show marine mammals living in contaminated, muddy water on the heels of the storm. John Hargrove, a former trainer at SeaWorld and Marineland Antibes - now turned activist - told The Dodo he worked closely with Valentin for nearly two years beginning in 2001. "Valentin had such a great heart. All the whales are dangerous - some less so than others. 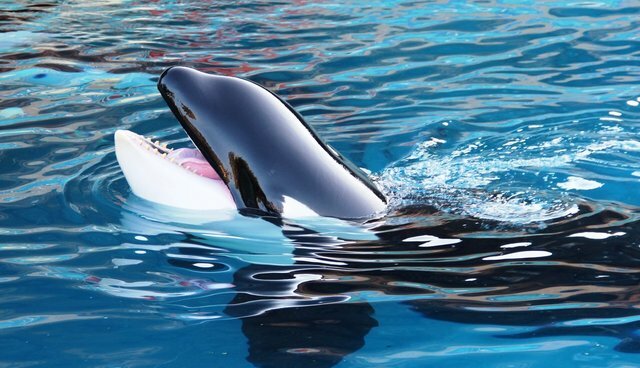 Val became one of the most reliable and stable of the killer whales we trained, so we would use Val as a beginning animal for trainers," explains Hargrove. "He was a very good-hearted animal." Thirteen orcas have died, or been stillborn, at Marineland Antibes in the park's history, according the website Orca Home. Valentin's mother, Freya, died in June at the age of 33. Freya had been caught from the wild in Iceland at less than 1 year of age, and during her tenure in captivity, Freya gave birth to four stillborn orcas, according to the organization, Whale and Dolphin Conservation (WDC). Hargrove told The Dodo he also spent a great deal of time with Freya. He says her death was likely impactful on Valentin: "He was her only son. And in the wild we know that after a mother dies her son dies usually shortly after her. So there is no doubt in my mind it was a devastating blow." Hargrove also says Freya was the matriarch for all the orcas at the park, and "I'm sure her death sent that social structure into disarray." It's not evident how Freya died, but what is clear is that Valentin - like many orcas in captivity - died prematurely: "Valentin was a 19-year-old male who would have been in his prime in the wild, where male orcas typically live until 30 years old but can exceed 50 years," Rob Lott, policy manager at WDC, tells the Dodo. 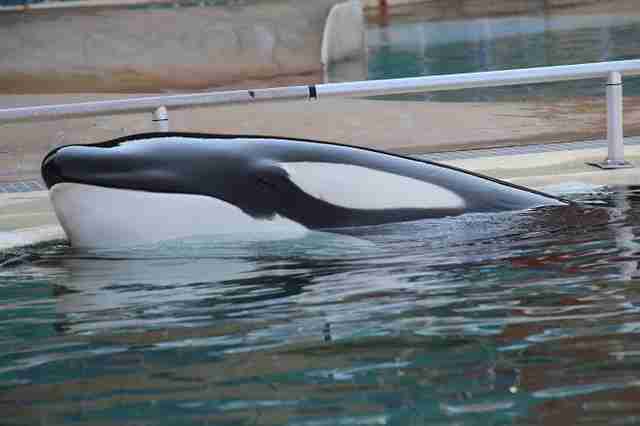 Valentin was sometimes medicated to curb aggressive tendencies toward trainers and other orcas, claims Lott. In fact, Hargrove says he gave drugs to Val "to suppress his testosterone levels when we swam with him because management was so fearful of an aggression by a sexually mature male, despite my protests against it." Eventually, Hargrove claims, "we stopped, because the medication affected his mental state so greatly." Although the claims of drug administration can't be independently verified by The Dodo, this isn't entirely uncommon: Trainers at SeaWorld, for example, have admitted in court documents to administering drugs such as benzodiazepines to orcas in captivity. Meanwhile, concern grows for the remaining orcas at Marineland. "[There is] speculation that a 2-year-old male, Keijo, was spending a lot of time at the bottom of the tank in the aftermath of the flood," Lott says. 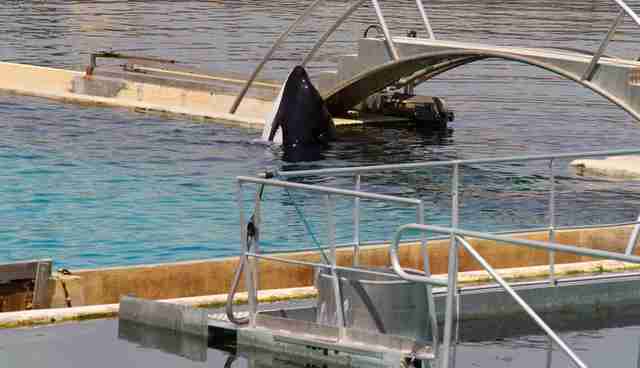 "We are incredibly concerned for the four remaining orcas at Marineland Antibes, now more than ever. Over a week has gone by and the orcas are still languishing in dirty tank water," says Sam Lipman, chair of Dolphinaria-Free Europe. "The facility still hasn't released any information about how it is planning to resolve this horrific situation, which has caused the deaths of many animals that it is responsible for." What should Marineland have done to protect the orcas during the floods? Lott says the park presumably had a contingency plan "where the whales should have been immediately evacuated to a clean, safe environment where their health could be better monitored." However, he adds, "Even though reports suggest that the water is now much cleaner, the fact that the orcas are still there 10 days after the flooding would suggest the scale of the event made it difficult or impossible to put such a plan (if it ever existed) in place." The filtration system was so inadequate that there was often zero visibility, and it could take close to a week before all the water was completely exchanged, resulting in standing algae on the water surface - proof of stagnant water. The malfunctioning chlorine-injection system caused eye burns so severe that they could potentially lead to blindness. The whales were once so badly burned that they couldn't open their eyes for days, and sheets of skin from their head and back just peeled away. The whales were obviously in terrible pain. Marineland Antibes did not immediately respond to The Dodo's request for comment. 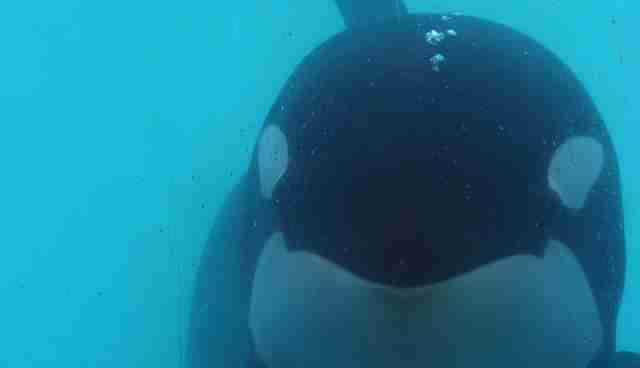 Keeping orcas in captivity is increasingly controversial, ignited by the explosive documentary "Blackfish." For advocates fighting against the practice of keeping whales and dolphins in marine parks for entertainment, the recent decision by the California Coastal Commission to not allow breeding of orcas in captivity at SeaWorld is considered a massive and unexpected victory. As of August 2015, there were 59 orcas held in captivity (24 wild-captured plus 35 captive-born) in at least 14 marine parks in eight different countries, according to WDC. Valentin's death now drops that number to 58. Hargrove, however, believes the number of orcas who perish will only increase: "Val was the healthiest of all the remaining orcas at the park. I think more are likely to die."